The #FightForWynonna is still going strong! We wanted to get involved, so we called the Doc! Tim Rozon joins us this week to talk about what's going on with Wynonna Earp, what fans can do to help, what they can do during this unexpected hiatus and much more. Plus Tim talks about what happened when we last saw Doc in Season 3. Join us Earpers, as we help you fight the good fight! That's not the only interview we have this week! Colby Strong (Blaze) joins us to talk about Power Rangers: Beast Morphers! We also give you a spoiler free review of Detective Comics #1000, talk about the potential sale of IDW and a potential big named being added to Marvel's The Eternals movie. We're also in WonderCon this week, so don't miss any of our coverage! 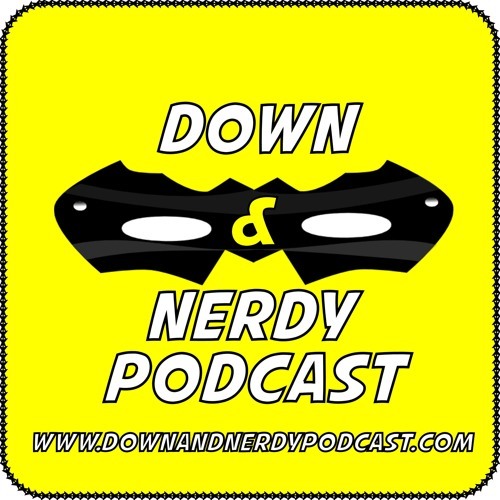 To find out how you can link up with us, subscribe to us and follow us on social media, go to www.downandnerdypodcast.com !